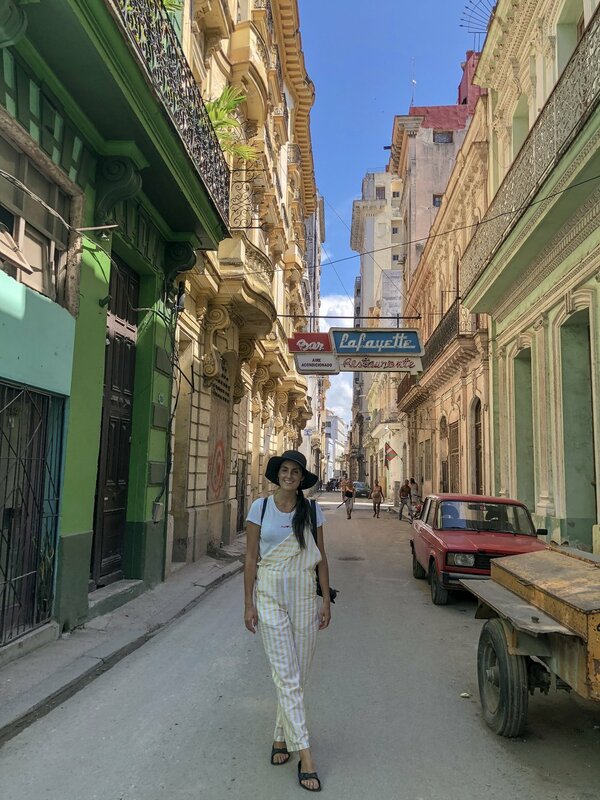 My first trip to Havana made such an impression on my heart. The rawness and realness I felt moments after stepping out of our taxi and into the bustle of Old Havana is something I’ll never forget. 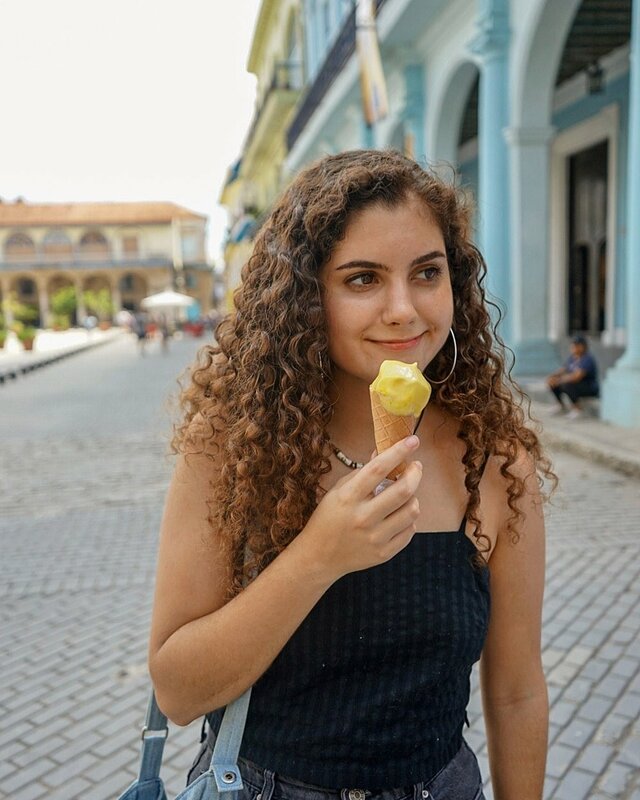 Few countries are able to make me feel a complete authenticity about them, but, Cuba and it’s people, have that special something that travelers yearn to find when exploring a new place. I could say it’s the colonial architecture or the classic cars or the unique history, but it’s something that can’t be written down or successfully expressed, it’s something that needs to be experienced. A mecca of cathedrals, squares, street music, and colonial architecture, Havana is like stepping into another time period. From the colorful classic cars, the beautifully weathered buildings, the way of life, we enjoyed every moment of it, in particular the moments with a mojito in hand. We were lucky to stay steps away from Havana Vieja or, Old Havana, where we spent most of our time. I wanted to stay in an old colonial house/ apartment and luckily I found the perfect place on airbnb. We had views of El Capitolio from our bedroom veranda, and the cutest lady who would come over each morning around 8:30 to make us a beautiful vegan breakfast complete with the best coffee! Cuban coffee is out of this world. We stumbled upon this magical area on our first day in Havana. How did we find it? Musica. We followed the instruments, the voices and the hype of the crowd until we turned a corner and there we were, in the midst of Cuban paradise. There were people laughing, dancing, drinking, passing by, but one thing every person in this tiny square had; a smile on their face. And as for the musicians, the music was pouring out of their souls. There was no effort to hit the right note, or transition into the next beat, it was an effortless display of raw feeling and soul. They felt it through every inch of their body, and in return, so did we and the rest of the audience. We happened to walk near Las Ruinas del Parque a few more times during our trip and there were always local musicians singing, drumming and dancing. What a place. 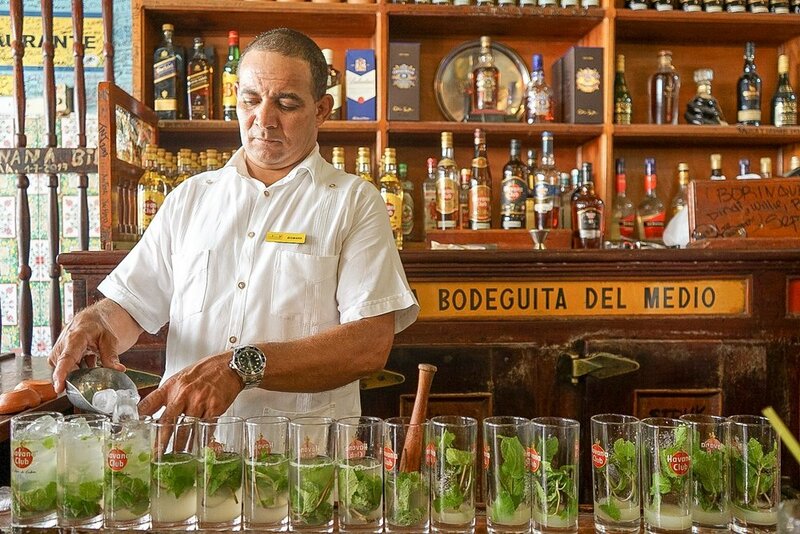 Famous for their mojito and being one of Ernest Hemingway’s favorite spots, La Bodeguita del Medio is touristy at certain times of the day, but also a must see. We stopped for a mojito or two and then carried on with lunch (they have delicious vegan options). On the walls are hundreds of photos of celebrities who, too, have visited the bar. We were sad to find out we had just missed Rihanna by a few days! Also, a favorite of Hemingway, this famed stop is known for their daquiri. It’s a short walk from the Capitol, but we much preferred the atmosphere and ambiance of La Bodeguita del Medio. This cute little boutique bar is located in the famous wifi square, an area where you can purchase an hour wifi card for 2 CUC (don’t expect the wifi to work, though). We came here twice during our stay and sat at the bar both times. The bartenders here are a lot of fun to talk to and ask general questions about Cuba; thanks Pablo and Nesto! The walls are covered with gorgeous photography pieces depicting everyday Cuban life. They also have the most amazing sweet potato fries. Our Cuban drinks of choice: Mojito, Cuba Libre, Caipirinha, Havana Club (3 anos) on the rocks. This old square is a great place to chill after walking through Old Havana for a few hours. There are cafes/bars/restaurants for pretty much every palate. Cafe Bohemia looks like a little restaurant out of Mykonos while Factoria Plaza Vieja, is one of two microbreweries in Havana serving 3L beer towers. We decided on some vegan gelato and people watching, though. One of, if not the best place to watch classic cars drive by. There is an old abandoned movie theatre across the street and colorful apartments that make this area perfect for photo-ops. Located in the art-deco district of Havana (a 20 minute walk from El Capitolio), is Teatro American. The theatre was built in 1941 to resemble Radio City in New York City. The Theatre is also steps away from the Malecon, where you can walk next to the water until you reach the Castle. We walked along the water for some time, stopped to buy some local coffee and ended up back in Old Havana for lunch. This hotel is situated a couple minutes walk from El Capitolio and is one of the most gorgeous hotels in Havana. Johnny, a local we met, told us Hotel Inglaterra was the place to be for an evening of salsa. After a gorgeous sunset and a couple drinks on the rooftop, a live band set up and started busting out the best salsa music. Naturally, Johnny was a professional salsa dancer (like a lot of Cubans) and that night he made it his mission to teach each of us the salsa fundamentals. A couple of mojitos and cuba libres later, and we were all salsa-ing the night away. Dirty Dancing Havana nights anyone?